Galerie Janine Rubeiz has the pleasure to invite you to the opening of "Wandering City" by Dinah Diwan, on Wednesday March 13, 2019, at 6pm, in the presence of the artist. "Wandering City" is the first solo exhibition in Beirut by artist Dinah Diwan, featuring paintings and installations inspired by the diary she kept in 1975 in Beirut, unaware that she and the city would have to part ways that year. Diwan intervenes as a cartographer and redesigns the city in her own way. Her vibrant works are depictions of journeys often made on foot, by bus or by bicycle as a teenager, intertwined with promenades in the Beirut of today. She lives and works in California where she continues to experiment with the theme of the urban promenade in a city that has no limits. "Wandering City" will be on show at Galerie Janine Rubeiz from March 13 until May 4, 2019. 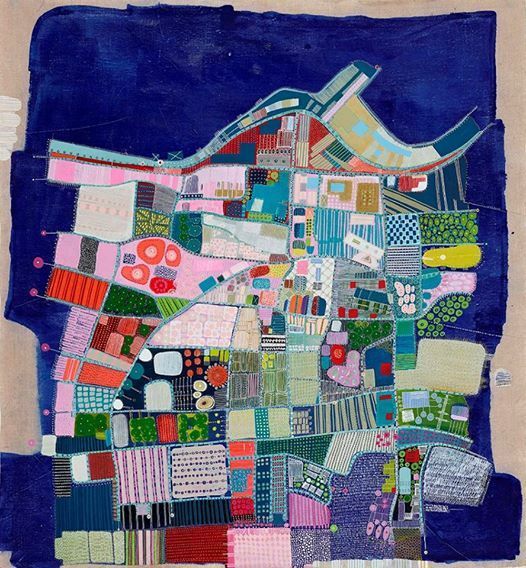 Born in Beirut, Lebanon in 1962, Dinah Diwan lives and works between Paris and Los Angeles. At the break of the civil war, in 1975, she moved to Italy then later to France to join her family. Trained as an architect, she graduated from the École Nationale Supérieure d’Architecture de Paris la Villette. 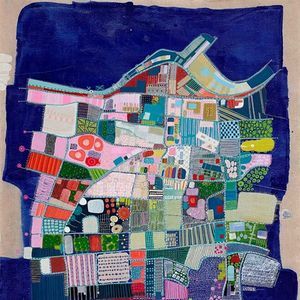 Her art deploys references to architectural elements: cities / grids / maps / gardens. Since the 1990s, Diwan has been experimenting with paint, creating collages with gestural and calligraphic writing on paper, canvas, fabric, and frosted glass.